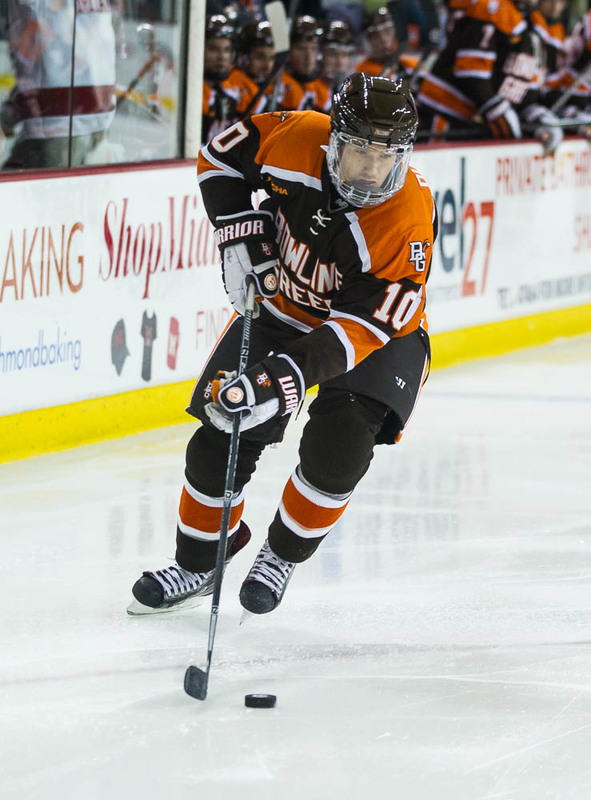 Bowling Green’s Kevin Dufour is the Western Collegiate Hockey Association offensive player of the week. The sophomore forward had three goals, six shots and an on-ice rating of plus-1 in BG’s 5-0, 4-1 sweep at Alabama-Huntsville. Dufour has a goal in every game this season and leads the NCAA with six goals. He’s continued his solid play of last season after totaling nine goals and seven assists in 37 games last season.